The initiative is part of Caritas’s environment-related development plans inspired by Pope Francis’s Laudato Si’. A "spiritual ecological conversion" is needed to save the environment that surrounds us. 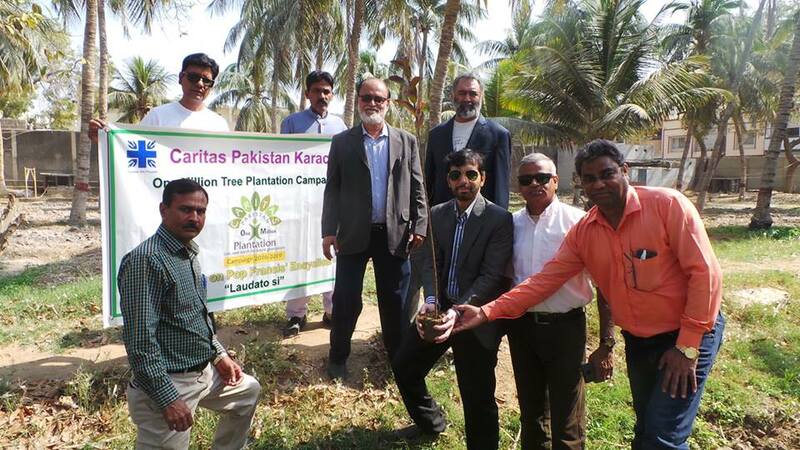 Karachi (AsiaNews) – The spring campaign to plant trees promoted by the Caritas Office of the diocese of Karachi, southern Pakistan, has started. 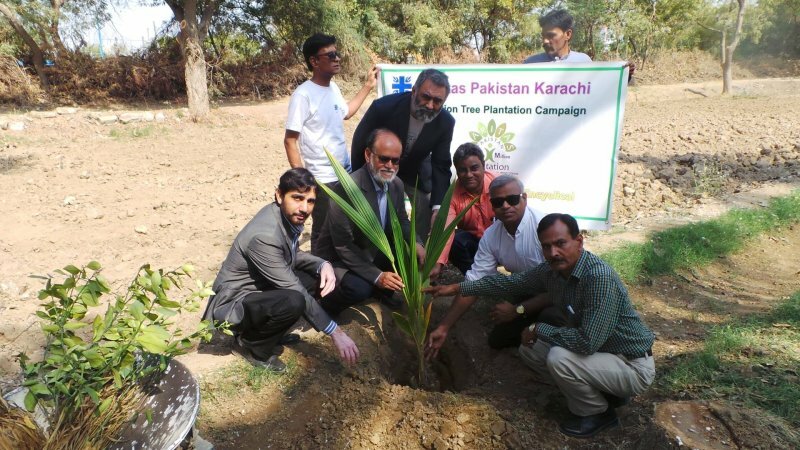 On Sunday the Catholic charity launched its ‘Spring Tree Plantation Campaign 2018’, which is part of its wider three-year project called ‘One Million Tree Plantation Campaign (2016-2019)’. The launch was hosted at the local Franciscan friary. 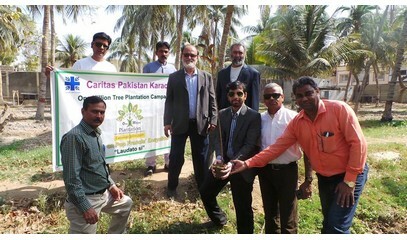 The Catholic association is grateful to Saira Banu, a volunteer who donated the 40 coconut and fruit trees planted for the occasion in the friars’ Portiuncula. 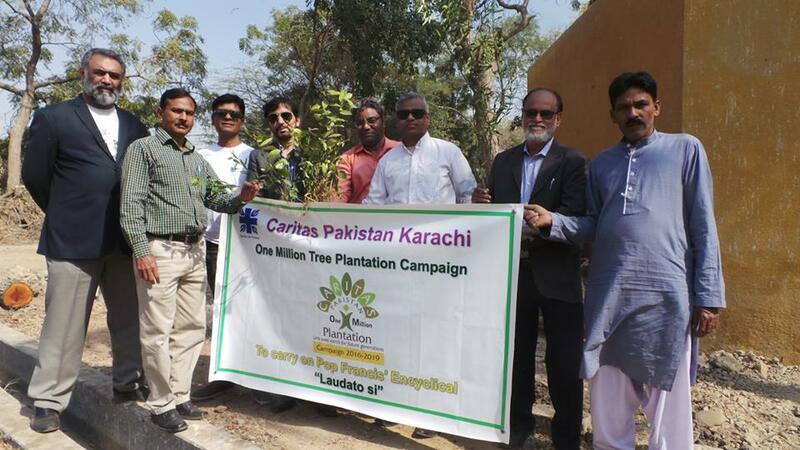 Neem Qaureshi, president of the National Forum for Environment and Health (NFEH) appreciates "the efforts made by Caritas in Karachi to raise awareness about the environment and the earth in the community and among children." He too announced plans to donate more trees for the same project. As indicated by Pope Francis in his encyclical Laudato si', the earth’s environmental crisis calls us to a profound spiritual conversion. For Christians this entails “an ecological conversion whereby the effects of their encounter with Jesus Christ become evident in their relationship with the world around them”. The initiative is the result of the work of local Catholics. 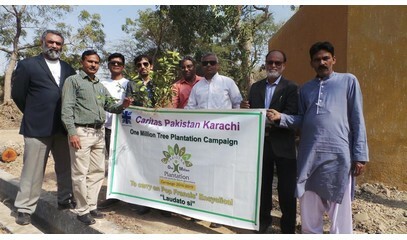 For Mansha Noor, executive secretary of Caritas Karachi, the project can be implemented without external support, based on mass consciousness raising, capacity building in communities, mobilisation of local resources, collaboration with government forest departments as well as other networks and NGOs. World Bank echoes pope: "Environmental degradation hurts the poor"